On Wednesday 18th February I was invited to represent the National Centre of Mental Health (NCMH) at the Live Well Work Well event hosted at the Hadyn Ellis Building by the Staff Counselling Service, Sustrans and the British Heart Foundation. It was a great day and gave me the opportunity to speak to lots of people about NCMH, what we do and about mental health more generally. Given that a mental health problem will affect one in four of us at some point in our lives, it was unsurprising that everybody I spoke to said they knew somebody with lived experience of a mental health problem. However, what did surprise me were the statistics revealed in a report by the Equality Challenge Unit released the same day. Just 0.2% of staff working in higher education have disclosed a mental health problem to their employer. Furthermore, less than half of those with a mental health problem have discussed it with their colleagues, with many fearing they’ll be treated differently as a result. It’s disappointing that so many people are still unable to talk about their experiences openly and shows there is still a lot of work to do in tackling stigma. One of the best ways to do this is to learn more about mental health conditions; what are the causes? How best can they be treated? These are the kinds of questions NCMH, a collaboration between Cardiff, Swansea and Bangor University, is trying to answer. We are working to learn more about a variety of conditions including depression, bipolar disorder, ADHD, schizophrenia and autism. To do this we need people to come forward and help us with our research. We’re inviting volunteers of all ages to take part in an informal interview, give a small blood sample and complete some questionnaires. It generally takes less than an hour, everything is kept confidential and we can either visit you at home or arrange to see you at the Hadyn Ellis Building clinic. Anybody can take part, whether they have lived experience of a mental health problem or not (we can use the data of those with no history of mental illness as part of a control sample). Each person that volunteers is playing an important part in helping us to improve diagnosis, treatment and support for people affected in the future. If you need more convincing, we’ve got a growing number of research champions sharing their stories, explaining why they got involved with NCMH and encouraging others to help too. 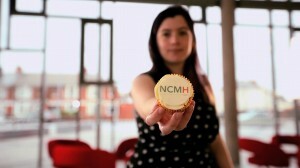 If you would like to get involved email us at info@ncmh.info or phone us on 029 2068 8401.